Some people enter into a banking relationship with their eyes half closed, not realizing the possible advantages of credit unions over banks. You may have heard people complaining about a bank's high service fees, interest rates, or lack of a personal touch, for example, but remember that no one is trapped at a bank. People complain about credit unions as well, but the complaints are often fewer and for different reasons. It boils down to the customer service-centric model that credit unions follow, which generally makes them more people friendly and accessible than banks. When you open an account with a credit union, you become a member or owner of that credit union. A credit union doesn't have stockholders, so it works to please its members. This shift from ​a for-profit to a nonprofit model changes the business focus from generating the most profits possible to creating the best customer service and support experience possible. Thus, many of a credit union's policies are more customer friendly. A credit union is also more likely have policies in place that are more forgiving if you overdraw your checking account or have a lower credit score. And you may find that credit union representatives are more willing to work with you if you find yourself in a difficult situation, such as temporarily being out of work. One of the places banks make money is in their fees, including monthly service fees and loan origination fees. The fees associated with credit unions tend to be lower than those assessed by banks. Transfer fees are lower, and, usually, there are no ATM fees charged by credit unions. ​Overdraft fees are lower too, and these fees tend to be a big money maker for banks. The lower fees mean that you can save money by joining a credit union, which may even help you to avoid most banking fees altogether. Whether you bank at a credit union or bank, though, be sure to carefully read the policies regarding any fees that you may end up paying. Credit unions offer higher savings rates and lower interest rates on loans. Since they're not focused on making profits but on covering their operating costs instead, credit unions are able to offer better interest rates to their members. The interest rates can be a lot lower for loans, and you may qualify for further discounts if you set up automatic payments. On the other hand, interest rates on deposit accounts are higher at credit unions than at most local banks, though they may not be as high as those offered by some online banks. Because credit unions aren't focused on driving up profits but on serving their members, they're better able to balance these rates. This means that their members are better served and might be able to save a significant amount on car loans, student loans, and mortgages. 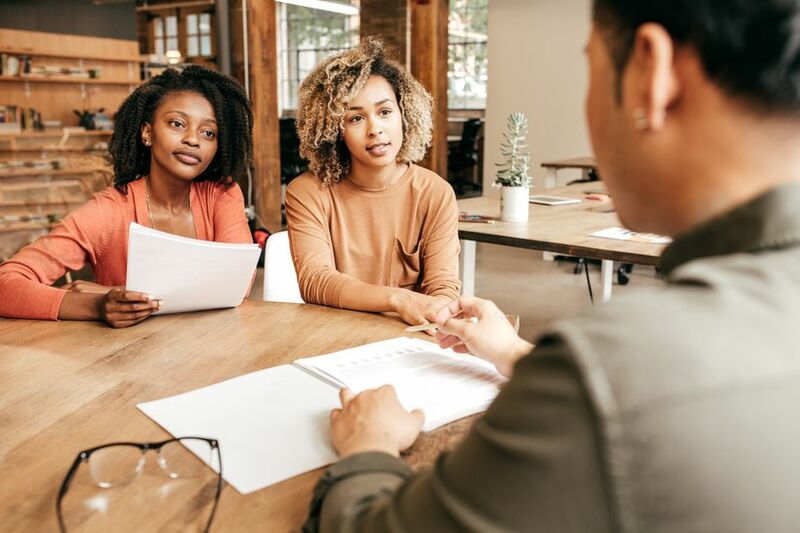 A credit union may be more willing to work with you than a bank might be if you have bad or poor credit or have difficulty qualifying for a loan. The loan officers will meet with you one-on-one and strive to find loan terms that will work for you. If you're interested in getting a mortgage loan but have a poor credit history, then a credit union may be your best route to financing your new house. A credit union may also offer educational programs that will help you get control of your budget or figure out how to cover unexpected expenses. If you have poor credit, be sure to apply for any loans in person. Some credit unions provide online loan applications, but if you apply in person, you have the opportunity to satisfactorily explain any circumstances that may be affecting you. Credit unions have rules regarding who can join them. These rules may include requirements such as living in a specific geographical region, working for a specific employer, or going to school. Once you join a credit union, you can remain a member for life, even if you no longer meet the initial requirements for becoming a member. But your credit union may require that you maintain a savings or share account in good standing in order to keep your membership. Once you have that account, you can borrow money, open a checking account, or apply for a credit card. It may take some research, but finding a credit union that you can join is worth the effort. Many large companies offer memberships in credit unions, so start your search at your workplace. If you don't work for a large employer that provides credit union memberships, you may need to look around your geographic area or online to find one. Credit unions don't belong to the FDIC as banks do. Instead, they belong to the National Credit Union Administration, which is comparable to the FDIC for banks. The same amount of money is guaranteed by the NCUA as by the FDIC. This means that if your credit union failed, your account would be guaranteed up to $250,000. As you shop around for a credit union that meets your needs, make sure the one you choose belongs to the NCUA so your funds are protected. In addition to imposing membership requirements that you may not be able to meet, another downside of doing your banking with a credit union is that they tend to be smaller, which means you may have a more difficult time finding a branch or an ATM when you travel or move out of town. Many credit unions don't charge ATM usage fees within their networks, but if you're away on a regular basis, then a credit union may not be your best option. You may also have fewer options at a credit union than at a bank. For example, large banks usually offer numerous types of checking and savings accounts, credit cards, loans, and investment accounts, so you can choose the one that gives you the highest rewards and best suits your situation. Your local credit union may offer only one or a few types of each with no rewards. Another issue is that credit unions may not always stay abreast of cutting-edge banking technology, so your online experience may be less than ideal and limited to checking your balances and transferring funds between accounts. Before you commit to a credit union or a bank, delve into both and read all the fine print associated with each product you're interested in. If a high level of personal service, better interest rates, and lower fees are more important to you than sophisticated tech, more convenience, and an extensive menu of banking products, then a credit union may be the choice for you. Or you could opt to open accounts at a bank and a credit union to take full advantage of the benefits afforded by both.